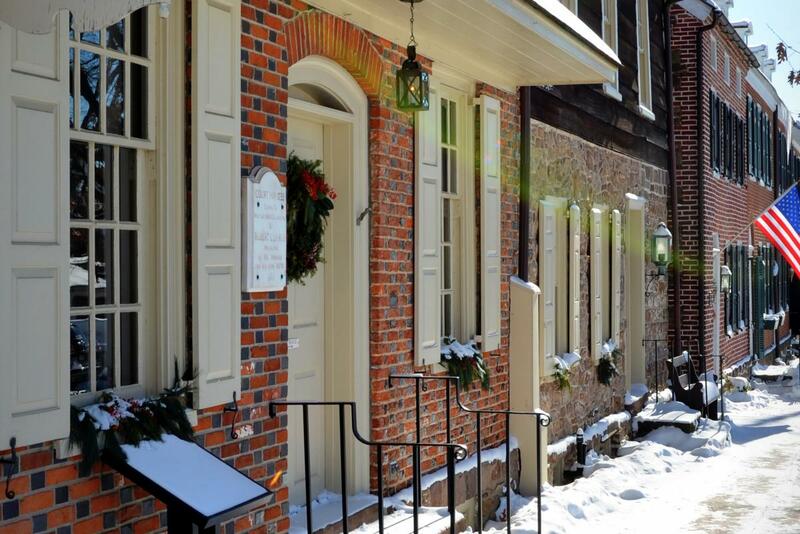 The holiday season brings tons of festive holiday happenings to experience in Bucks County! Watch a Santa Parade in Peddler’s Village, take a Winter Wonderland Tour through Fonthill Castle and visit Perkasie for the oldest community tree lighting ceremony in the country! Find your holiday spirit at Peddler’s Village during its Christmas Festival, featuring Santa Parades, holiday shopping deals and the Gingerbread House Competition & Display. Explore Fonthill Castle after it’s been transformed with holiday décor during the Winter Wonderland Tour! The Perkasie community has been hosting its tree lighting ceremony for 109 years! Celebrate the holidays during the oldest community tree lighting ceremony in the United States this Sunday. 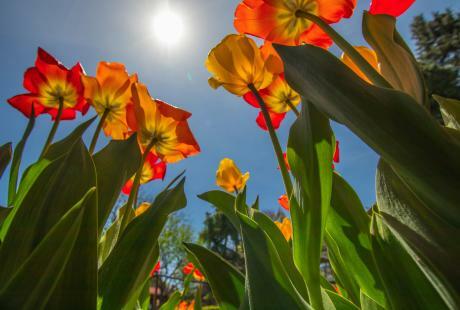 Check out our guide below for details on this weekend’s must-see events around the County. Stay up-to-date on what’s coming up next week with our Upcoming Events calendar. Join everyone’s favorite Sesame Street friends during Sesame Place’s family-favorite holiday Celebration: A Very Furry Christmas. 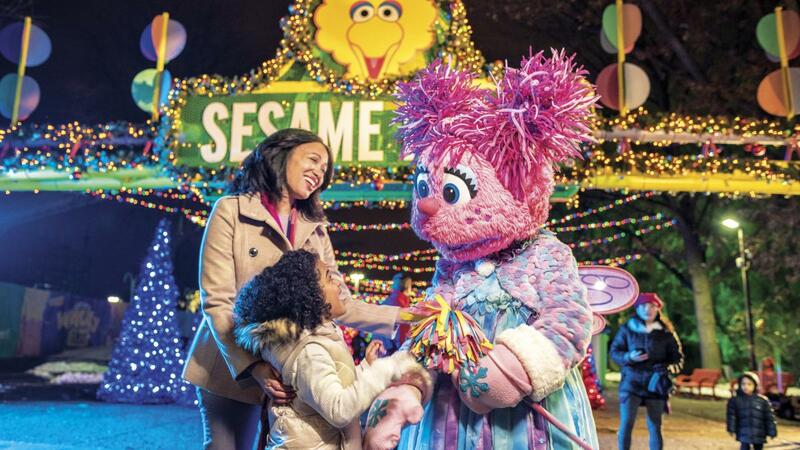 Sesame Place is transforming into a one-of-a-kind Christmas wonderland with millions of twinkling lights, spectacular musical shows and parades! When: November 30 – December 2, 11:30 a.m. – 9 p.m. Experience the magic of more than 3 million lights illuminating acres of Shady Brook Farm’s Holiday Light Show! Encounter whimsical displays and familiar characters as you drive through in the comfort of your own car or enjoy the show on an open-air wagon ride. When: November 30 – December 2, 5 – 10 p.m. Hang out with Santa at the Historic Bolton Mansion this weekend for their Holiday House event. Enjoy hearth cooking demonstrations, train displays, caroling and more! When: November 30 – December 2, 6 – 9 p.m.
Don’t miss Holiday Trees at the Visitor Center, a beautifully decorated display of trees designed by former White House decorator, Coleen Christian Burke. 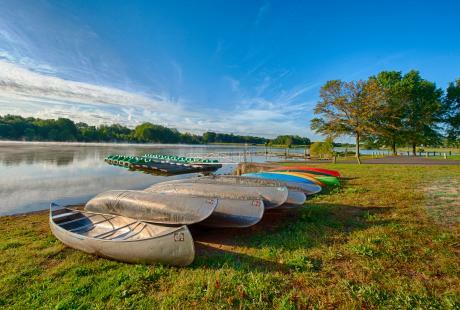 Pick up an exclusive Bucks County Holidays Coupon book with discounts and special offers to must-see holiday attractions. When: November 30 – December 2, 9 a.m. – 5 p.m. 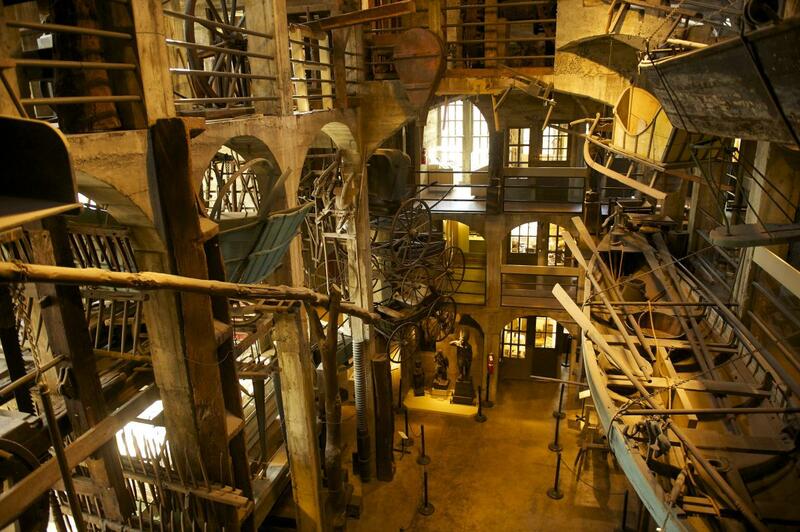 Step inside the larger-than life pages of beloved fairy tales from around the globe including Cinderella, Beauty and the Beast, and Jack and the Beanstalk during the Mercer Museum’s “Once Upon A Time… Exploring the World of Fairy Tales” exhibit. Check out this Friday’s “Twilight Tales” special event! When: November 30 – December 2, 10 a.m. – 5 p.m.
Marvel at the striking large-scale sculptures by the talented Frank Hyder during the Michener’s latest exhibition, “The Janis Project”. Make sure to check out “30 Years: Art at the Michener, 1988-2018” as well, a special exhibition that invites visitors to learn new stories about familiar works of art and discover objects from the Museum’s vault that have never before been on display. When: November 30 – December 2, 10 a.m. – 4:30 p.m.
Mystery and intrigue await all those who dare to enter Fonthill Castle’s Escape Room. Discover Henry Mercer’s connection with the legend of Bluebeard and solve the puzzle that awaits you in an uncharted room at the top of the castle’s tower! Reserve your spot online, tickets sell out fast! Don’t miss a memorable performance by Tusk: The Ultimate Fleetwood Mac Tribute this weekend at the New Hope Winery! When: November 30, 8 – 10 p.m.
Acting Naturally Theatre presents “Fiddler on the Roof, Jr.”, set in the little village of Anatevka, the story centers on Tevye, a poor dairyman, and his five daughters within a colorful and tight-knit Jewish community. 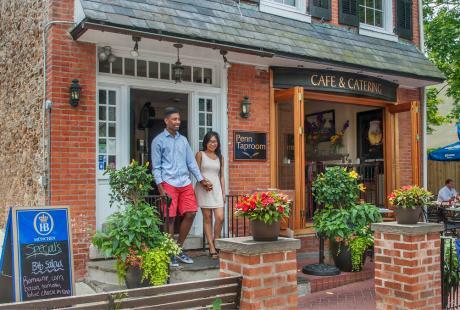 The Centre Bride Inn is presenting Bucks County’s inaugural Art Hotel venture to the area’s community of art enthusiast far and near. Cairn University is hosting the “Blairstown: My Hometown” art exhibit will be on display all weekend-long! Woven throughout the gallery are themes of tradition, home, and nostalgia all in the form of pottery and ceramic pieces. When: November 30 – December 2, 8:30 a.m. – 4:30 p.m.
Shop over 65 talented local crafters to find the perfect holiday gifts, treats and festive decorations! Don’t miss the Historic House Tour on Saturday. When: November 30 – December 1, 10 a.m. – 5 p.m.
Make your way to Washington Crossing to peruse the Annual Small Works Show, featuring over 35 artists with new work being displayed regularly. 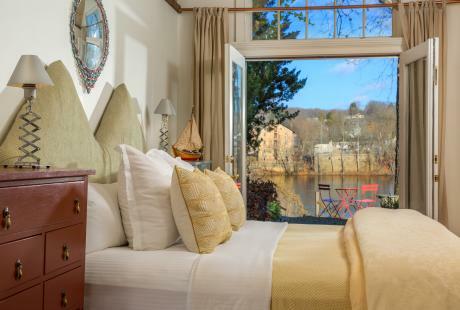 The Newtown Historic Association&apos;s Holiday House Tour returns for its 56th year. Take a self-guided walking tour of six private residences and four public buildings features this year! When: December 1, 10 a.m. – 4 p.m.
Bring the family to enjoy a traditional Holiday evening out when Santa Claus arrives to light the Perkasie Borough town center Christmas tree. Now in its 109th year, the traditional ceremony began in 1909 and is officially the oldest community tree lighting ceremony in the United States. When: December 1, 5 – 8 p.m. 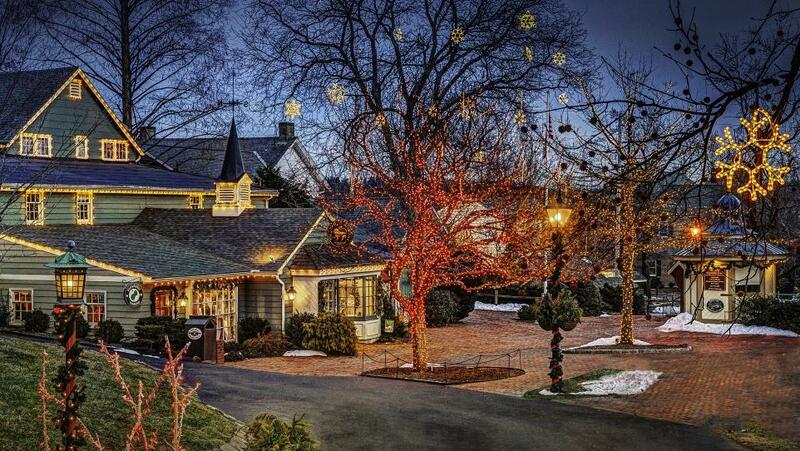 Celebrate the holidays during the Peddler’s Village Christmas Festival! Catch the Santa Parade and check out the winners of this year’s Gingerbread House Competition & Display as you enjoy the festively decorated Peddler’s Village – plus get a jump start on your holiday shopping! Kaiju Big Battel: The Return at the Neshaminy Creek Brewing Co. Enjoy delicious craft brews and watch “live monsters” battle it out in the live monster spectacle Kaiju Big Battel: The Return at the Neshaminy Creek Brewing Company! When: December 1, 7 – 10 p.m.
Take a stroll through the Peace Valley Nature Center’s beautiful, candlelit trails. After the walk, warm up inside the Solar Building for a cup of hot cocoa and sweet treats! When: December 1, 5 – 7 p.m.
Visit Fonthill Castle for daily holiday-themed tours throughout December and experience Henry Mercer’s home decked out for the holidays. Reservations are required. Listen to Chris Smither perform his unique blend of folk and blues musical styles on Saturday at Sellersville Theatre! A Rat Pack Christmas returns on Sunday for a special holiday performance, a tribute to three of the most legendary entertainers of all time: Frank Sinatra, Dean Martin and Sammy Davis Jr. In this creative workshop series of ten sessions guided by artist-in-residence Darcy Fair, children ages 6-12 create their own magical stories inspired by fairy tales. Sessions feature live music, read-aloud stories and imaginative play. Reservations are required. When: December 2, 1 – 2:15 p.m. Learn how the colonists would have decorated their homes for the Christmas season—and take home a colonial wreath of your very own! Washington Crossing Park staff will help you create a special wreath that resembles those made by colonists in George Washington’s era. When: December 2, 12 – 4 p.m.
Join the Newtown community for the annual Newtown Holiday Parade, a yearly tradition to help welcome the holiday season! When: December 2, 2 – 4 p.m.
Join the Churchville Nature Center for their second annual Holiday Craft Fair! Check out handmade items by talented local artisans during this free event. When: December 2, 10 a.m. – 4 p.m. Follow the Drinking Gourd will be performing spirituals in all kinds of inventive arrangements, from jazz and tango settings to adaptation as anthems of the civil rights marches of the 1960s at the James A. Michener Museum. When: December 2, 3 – 4 p.m.
Join the Naked Brewing Company for Sunday Crafternoons! 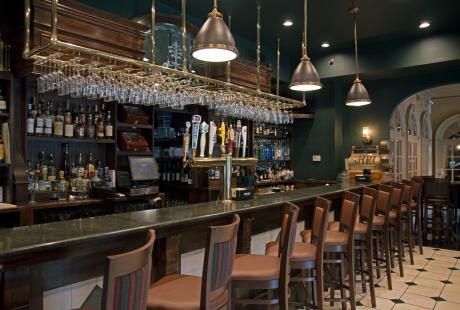 Enjoy discounted drinks and participate in a different arts and crafts project each week. When: December 2, 4 – 7 p.m.
Dan Lopez is Visit Bucks County's Communications Coordinator. Look for him and our mascot Bucky, while you're out and about in Bucks County!